In 2015, a Commission of Investigation into debt write-offs by IBRC, formerly Anglo Irish Bank, was set up. It was tasked with examining 38 transactions which cost the State €10million or more each – or a total debt write-down of €1.88 billion. This morning, Tom McEnaney, of Times Ireland, reports that the commission is still only examining just one of these transactions – the 2012 sale of Siteserv to a company controlled by Denis O’Brien, Millington. 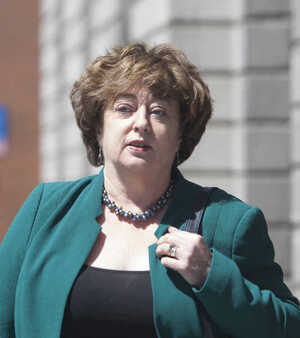 The commission wants an extension to complete its investigation on the Siteserv deal by June 2020. It was originally meant to report by the end of 2015, this was extended until April 2016, then until the end of 2017, and then until the end of 2018. 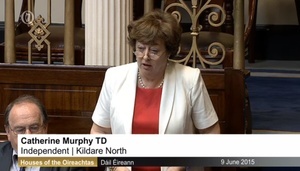 Mr McEnaney also reported that it’s his understanding that the Taoiseach Leo Varadkar intends on consulting opposition parties on the future of the entire commission. “I think it holds in question the future of a commission that doesn’t seem to be working the way we all expected it to be working into allegations where there’s been never any prima facie case established. Meanwhile, in last weekend’s Sunday Business Post editorial, it told how the commission took an injunction out against the newspaper following reports on the commission. The Sunday Business Post sought to investigate the deal. Last year, we published a 12,500-word article drawing from new documents, emails and other information. The article revealed who knew what about the deal, and promoted a public debate by politicians and policymakers. It also drew a response from the commission itself, which had previously sought undertakings from the newspaper not to disclose any evidence given to the commission in accordance with legislation. The letter came following a number of articles previously published by this newspaper. The undertaking was provided. However, the lengthy article was still published on grounds of public interest, and on the basis that we did not believe the publication had breached the undertakings provided because the information did not come from the commission. The article set in train a series of events that led to an application by the commission for injunctions restraining this newspaper from, among other things, publishing any witness statements given to the commission and any oral evidence given to the commission in private session. This newspaper consented to the application, primarily on the grounds of costs. As we wrote at the time, unlike the commission, we could not ask the government for more money when we hit difficulties (it is worth noting that the expected cost of the commission has spiralled from single-digit millions to up to €25 million). 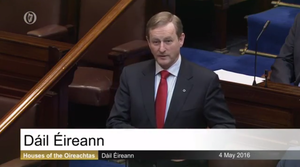 It could well lose much more if it moves on from Siteserv. 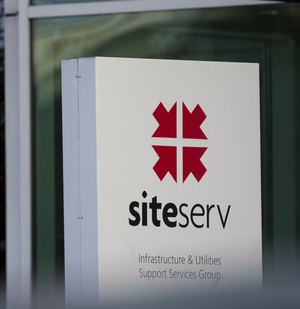 The injunction remains in place to this day, obtained against one of the few independent media titles that has continually sought to unravel and explain the truth about Siteserv. 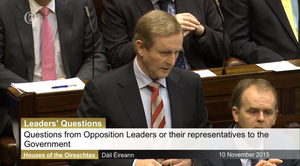 Posted in Misc and tagged Commission of Investigation, IBRC, Siteserv at 11:51 am on December 5, 2018 by Bodger. 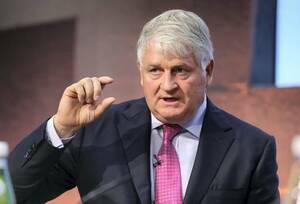 Digicel is currently running various rip off’s, sorry predatory “prize” giving targeting poor people, which they have called the ‘Gift of More’-who says Dennis doesn’t have a sense of humor,it could be viewed as a homage to FG. Simply inserted FG instead of Digicel-the gift of more indeed Dennis. At what point or what does a buyer have do, be a convicted criminal, hello Deputy Lowry,to be excluded form state contracts/business? The report was never going get completed or published, it was set up from Day 1 to fail, it was never fit for purpose. so i grabbed lowry by the nose, like this, and i says ‘if you can do ben dunne a favour you can do me one as well’. ha! Anguilla, Antigua and Barbuda, Aruba, Barbados, Bermuda, Bonaire, the British Virgin Islands, the Cayman Islands, Curaçao, Dominica, El Salvador, Fiji, French Guiana, Grenada, Guadeloupe, Montserrat, Guyana, Haiti, Jamaica, Martinique, Nauru, Panama, Papua New Guinea, Samoa, Saint Kitts and Nevis, Saint Lucia, Saint Martin and Saint Barth, Saint Vincent and the Grenadines, Suriname, Tonga, Trinidad & Tobago, Turks and Caicos, and Vanuatu. Any interest at all in competing in western democracies? But I was shooting for something beyond the obvious. Its gas how everything in Ireland takes years to complete, and then in the end nothing comes of it. This is ridiculous. Time-box each case. Give them a year to see what they come up with, then onto the next one – or not. Beyond a joke. Denis will have made sure it’s impenetrable anyway.